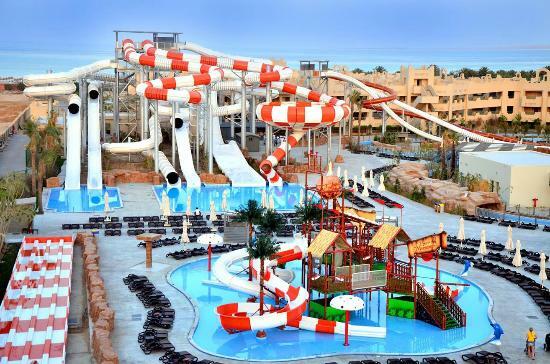 YourHolidayClaims understands an increasing number of holidaymakers are being struck by Illness at the four-star Coral Sea Waterworld in Egypt. Do not accept illness as part of your package holiday. If you have fallen ill whilst on holiday within the last three years, act now and claim the compensation you deserve with YourHolidayClaims. Contact our team today and unveil what you could be entitled to, by giving our team a call on 0330 100 2851 now. Alternatively, if youre unable to talk over the phone right now you can provide us with a few quick details regarding your situation and start your claim online. The team at YourHolidayClaims is continuing to receive enquiries afterÂ outbreaks of food poisoningÂ at the Coral Sea Waterworld Resort in Egypt. In 2014 we reported on a number of outbreaks of illness at the Thomson promoted hotel with many holidaymakers experiencing symptoms of gastroenteritis. A number of British holidaymakers have commented on the review website TripAdvisor after they were affected by symptoms including sickness and diarrhoea. One guest reported experiencing âfood poisoningâ for the entire week. They added that their â5 year old was vomiting every hourâ. On their return to the UK their son was admitted to hospital and âplaced on a dripâ. Visitors to the Coral Sea Waterworld Resort have described the food served as âlukewarmâ, âpoorâ and ârepetitiveâ. Others have witnessed âfood areas left openâ to âbirds and fliesâ. âWe are concerned by the continuing reports of illness at the Coral Sea Waterworld Resort.Â We have already been instructed by a number of clients whose holidays in 2014 were ruined by illness, one of whom was confirmed on his return home with having contracted shigella. âI would urge the tour operators and hotel management to investigate the reports of illness at this hotel in order to help prevent yet further outbreaks of illness occurring. âAnyone who has been affected by food poisoningÂ on their package holiday can contact myself or a member of our expert team for advice on whether they may be entitled to make a claim for compensationâ. For more information on how our holiday claims experts can help you, contact YourHolidayClaims today. To speak directly to a holiday claims expert, call us now onÂ 0330 100 2851. Or if youre unable to talk on the phone right now, you can start your claim online by completing our quick and easy online enquiry form.